The specially formulated RugSafe Fleece Wash is the perfect product for washing natural fibres, like wool and cotton, without risking any damage to your premium items. It contains antibacterial and odour-destroying ingredients and revives tired, wicking fibres. 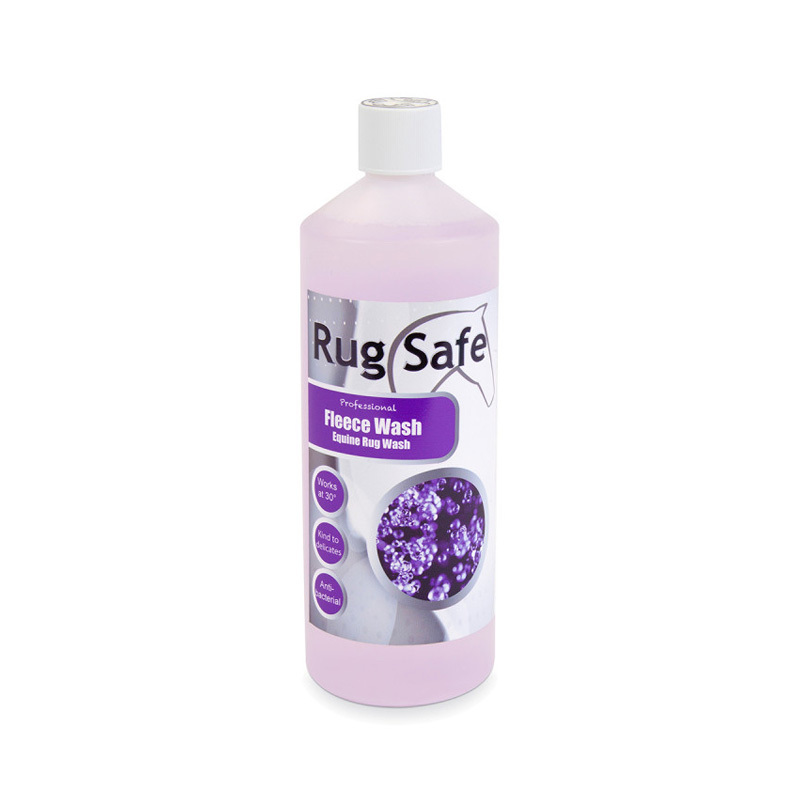 RugSafe Fleece Wash also leaves rugs incredibly easy to de-hair after washing.